Save 10% on Genuine Honda Accessories. Please present coupon during write-up. Not to be combined with any other discounts. Cannot be applied to any previous charges or invoices. Limit one coupon per customer. The Parts Department at Silko Honda is here to serve all your needs. When you need official Honda parts and accessories, there is no better source in the area. We have a larger selection than the big chain outlets. Plus, we offer a much higher level of service and expertise. We also offer Honda parts special that help you save big on common and important purchases. Our specials change regularly, but we aim to appeal to as many drivers as possible. That is why so many Honda drivers from Plymouth, Easton, and beyond choose to work with our Parts Department exclusively. This is what you can expect from Silko Honda. We carry a massive inventory of official Honda parts and accessories. And if for some reason we do not have what you require, we can get it in stock fast. By working with official Honda parts, you can feel certain that the part will fit perfectly and perform exactly as intended. And thanks to the automaker’s commitment to its loyal drivers, you can be sure the part is built to last. There are no better parts on the market to install in Honda vehicles. Trying to order parts is not always easy or intuitive, even if you have a lot of automotive knowledge. The team at Silko Honda is dedicated to providing all the information and assistance you need to make this process as seamless as possible. Our expert staff can help you to find exactly the right part(s) and also give you tips and techniques for installing it correctly. When you need exceptional service and professional advice together, Silko Honda is your source. We don’t believe you should have to pay outrageous prices to keep your Honda model in perfect running order. That is why we price all of our parts fairly and transparently. You get the right price when you buy them from us. And you also get the right price when you schedule service with us. 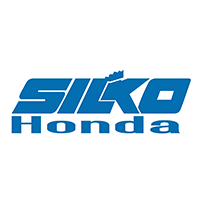 Work with Silko Honda for all your automotive needs, and eliminate the worry you’re being overcharged. 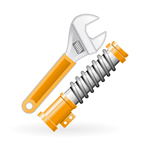 Whenever you need parts for any reason, Silko Honda is the source to rely on. We are also happy to simply answer your questions or offer expert advice. Feel free to contact us at your convenience.